Heidelberg is the paradigm of a romantic city. 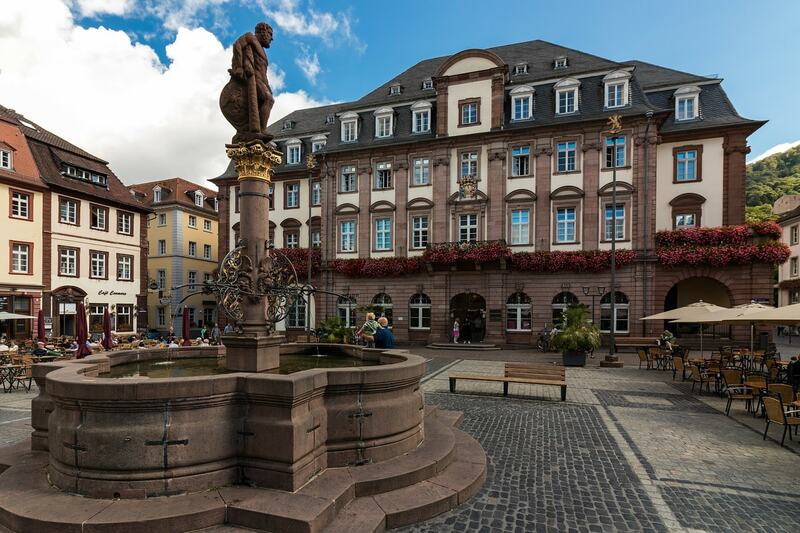 The picturesque town clasps to the bickering Neckar River; tree-clad hills rise on both sides of the stream, and the ruins of a medieval castle overlook the red-shingled houses of the old town. Cobblestoned streets and dramatic sunsets add to the flair of the picture-perfect scenery. We’ve made a list of the most romantic spots in the historic city. The red sandstone castle ruins are Heidelberg’s main attraction and a symbol of German Romanticism. 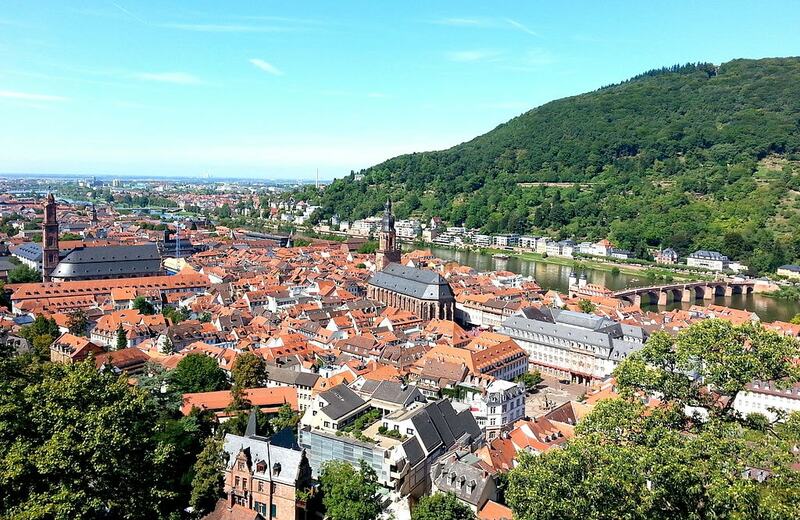 The crumbling walls rest on a tree-clad slope and grant panoramic views of the old town and the Neckar River below. A tour of the castle holds all kinds of treasures, from picturesque courtyards and oversized statues of emperors and kings to detailed façades and the world’s largest wine barrel. The 600-metre (1,969-foot) peak of the Königstuhl hill offers even better views and fewer crowds. From the castle, you can either take the funicular railway or follow the path and climb the stairs instead. For the extra pinch of kitsch and romance, try to get up here in time for the sunset. On a clear day, the entire valley shines in orange and pink shades when the sun sets behind the hillside across the river. The cobblestoned streets, quaint market squares and half-timbered houses of the old town alone create a fairytale setting for a romantic getaway. Stroll the winding streets of the town centre, browse small boutiques and be charmed by the historic sites. A candlelight dinner at one of the many romantic restaurants tops off the day. On the other side of the Neckar, the narrow Philosopher’s Walk rambles up the hillside. Over the centuries, university professors, novelists and poets have come here to think and write in solitude. Today, couples stroll up the path and eventually end up enjoying the view from the midst of the colourful flower beds in the small garden along the way. 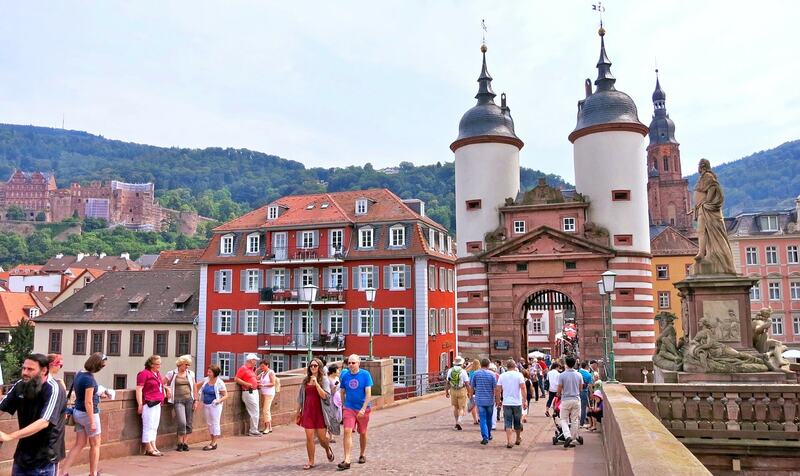 Heidelberg’s Old Bridge connects the historic town centre with the Neuenheim district on the other side of the Neckar. The arched bridge is great for an afternoon stroll. The unfettered views of the castle and the medieval Elizabeth gate make great props for your pictures. Joseph von Eichendorff and his love interest are said to have met regularly at the Heidelberger Liebesstein, a sandstone which stands at the north side of the Old Bridge. The German lyricist has immortalised his precious spot in his poem Kaethchen, named after the said girl. Today, many couples declare their eternal love by fixing engraved padlocks to the structure and throwing the key into the river. 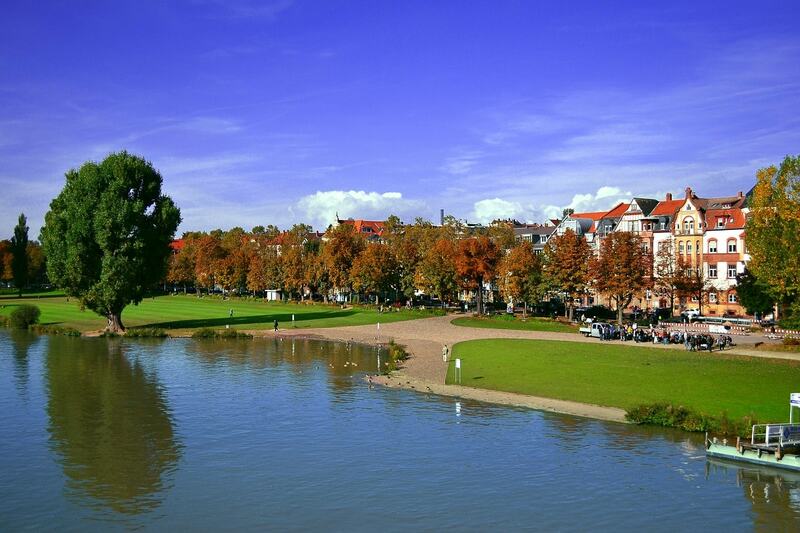 For about one kilometre, the Neckarwiese stretches along the northern embankment of the Neckar. Willows, cottonwood and lime trees cast shadows over the grassy stretch, ideal for a romantic picnic with views of Heidelberg’s old town. Just keep in mind that you won’t be the only ones trying to secure a shady spot in the summer months.